Ritual: where you might least expect to find it! There begins this coming week the season generally referred to as “the holidays,” a portion of the calendar stretching from Thanksgiving to New Year’s Day. Some of the celebrations in this season are common to all and others are particular to different faiths and followers. Without wanting to omit less well-known dates, “the holidays” are generally understood to include Thanksgiving, Christmas, Hanukkah, the Solstice, Kwanzaa and New Year’s Day. And each of these celebrations has its own rituals. Consider Thanksgiving Day which is fast upon us. How many times have you already been asked (or have you asked others) this question: “So, what are you doing for Thanksgiving?” There’s a ritual fascination for knowing when and where we and others will celebrate this day. And many times have you heard a response like, “Oh, we’re going to my sister’s - she’s having 29 for dinner.” At no other time of the year are we likely to know, much less announce to others how many people will be at table for a particular meal. 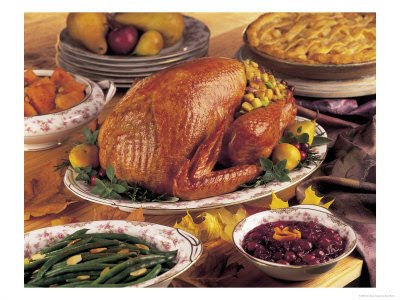 A number of other ritual questions may follow: will it be a fresh or frozen turkey - and how much does it weigh? how many vegetables? sweet potatoes with or without marshmallows? who’s bringing what? is he bringing that string-bean casserole again? what kind of stuffing do you make? how many pies and what kind? are your married kids coming home or going to the in-laws? Much conversation like this will be conducted before Thanksgiving and will then be repeated again after the holidays when folks begin to ask, “So, how was your Thanksgiving?” There’s a definite ritual dialogue that occurs before and after the actual Thanksgiving Day meal. And what of the ritual dynamics and conversations that surround the Thanksgiving gathering? Will there a table for adults and a kids' table, too? Will there be a prayer before the meal even at tables where no prayer is usually offered? Do you go around the table inviting guests to mention things they’re grateful for this Thanksgiving? Who will carve the turkey? Who will get the drumsticks? Who will break the wishbone? What family stories are told every year and exaggerated even beyond last year’s telling? Who will be the predictable tellers of the predictable stories? What political and religious topics will be fair game during dinner? At what point will some portion of those gathered excuse themselves to go watch the game? Odds are you’re adding your own family’s ritual words and deeds to the list I’ve offered above. True ritual behavior and dialogue have many functions. They reconnect us to our roots and one another. They offer us a conversation in which all participants know the vocabulary and their own part. Ritual can offer us, if only for a few hours, a moment of sanity and serenity amidst the chaos of the rest of life. We are drawn to such ritual gatherings because they have the power to reassure us that in spite of everything else, there is still point in time, a place in our lives, in which peace can be ours in the simple experience of sharing a meal among those who have helped, for weal or for woe, to shape our lives. We should be grateful to know that a holiday like Thanksgiving not only survives but thrives in a culture that so easily dismisses ritual behavior as rote and empty. And following Thanksgiving a whole season of such experiences draws us together between the end of November and the early days of January. As Thanksgiving approaches, it might be helpful to reflect on how such holiday and family rituals play out in and prosper our lives and well-being: how these tried and true, age-old familiar activities and conversations touch us in the depths of our hearts and connect us with realities more important than we might often realize and acknowledge. And may I take this opportunity to remind you that this very same ritual dynamic is played out week after week in our houses of prayer? The ritual of worship in any faith is filled with: familiar words and dialogue; old, even ancient stories of the family of faith; meals shared in remembrance of our roots and our connection to one another; the offering of a place where peace can be found, where one can escape the chaos not by running away from it but by hastening towards a center, a calm, a serenity the chaos can never overwhelm. The rituals of “the holidays” are life-giving in many ways but they also put us in touch with our losses, our hurts and our disappointments. Rituals in faith communities do the same but, again, such ritual offers a place not to deny our pain but to find healing for it in a community of others sharing joys and sorrows alike with any who will give themselves to the words and deeds of shared, ritual prayer.